It’s always so exciting to find out we’ve been featured on other websites. 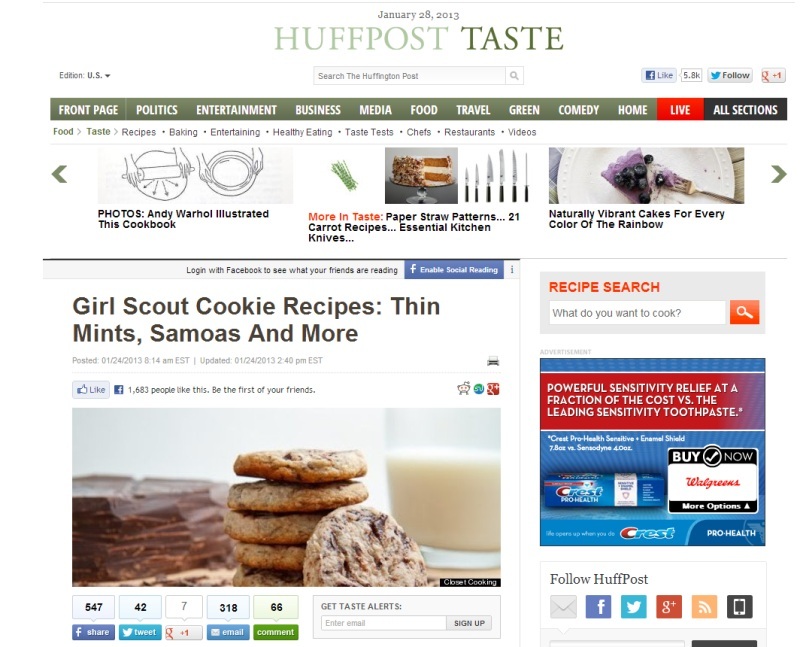 Most recently, HuffPo contacted me and asked if they could share a couple of my gluten-free Girl Scout Cookie recipes. Click here to visit the article. I love the Huffington Post! What a fantastic read! How wonderful for you, Jamie! YOU are the best and ose who are in the know… KNOW! I type too fast for this crazy iPad!